If you’ve never heard of Rustler Yachts, well, that’s not surprising. It’s a respected British company that produces small numbers of rugged, well-built cruising boats, and they’ve never before had a distributor on this side of the Atlantic. I’ve sailed both the Rustlers 36 and 42 and enjoyed them very much. 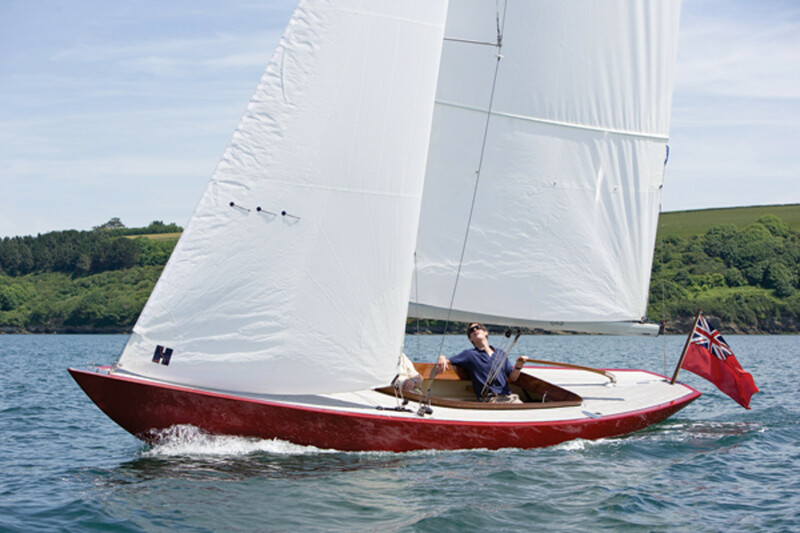 The 42 is a fast cruiser in the modern idiom, with a tall rig, deep fin keel and a turn of speed that betrays designer Stephen Jones’s racing roots. The 36 is a tiller-steered, long-keeled heavyweight, the type of boat that’ll get you around Cape Horn without turning your beard gray. The latest addition to this modest line-up is the Rustler 24, pictured here. Pretty, no? It’s a modern iteration of a 1960’s design, with a new deck plan and rig. In contrast to the latest generation of daysailers, it does not have a modern underbody; the long, deep keel carries encapsulated ballast and the rudder is appended to the keel’s trailing edge. There’s no exotic material in the hull, just lots of tough fiberglass. This boat should be able to bounce off the bottom without feeling it too much. The low freeboard gets you close to the water and that sweet sheerline is a guaranteed crowd-pleaser. It’s being imported by Scandinavian Yachts of Newport, Rhode Island. Well equipped and with a 10hp diesel, it’ll get you on the water for south of $60,000. Depending on how this sweet 24-footer fares, bigger Rustlers may follow.